It’s a stress-reliever, an artist’s canvas, and of course it protects packages and shipments. 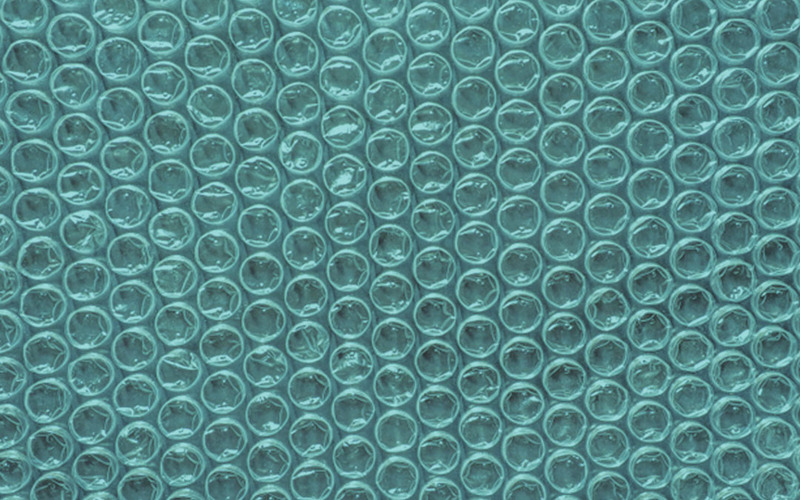 But did you know that Bubble Wrap was originally invented as 3D wallpaper? Bubble Wrap has been around for more than 50 years. In 1957, American engineers Alfred Fielding and Marc Chavannes set out to create textured wallpaper. After sealing together two shower curtains with air bubbles trapped inside, the pair discovered their 3D wall covering wasn’t as popular as they’d hoped. They eventually changed tactics, going on to market it as insulation for greenhouses—but that proved unpopular, too. It took nearly 3 years before a marketer at Sealed Air discovered a better use for their product. The material would work perfectly for protecting newly-designed IBM computers during shipping. After demonstrating its protective features, IBM got on board and began using Bubble Wrap to protect their precious cargo. Once meant to simply cover the walls, it’s now become a staple in shipping, moving and storing. It’s also earth-friendly, as it contains pre-consumer recycled content and uses far less plastic material than it previously did. More than 50 years after it was first created, Bubble Wrap makes up nearly 10% of Sealed Air’s yearly revenue (with more than $400 million of it sold annually). If we took the amount of wrap produced in a year, it would stretch from the Earth to the Moon—nearly 384,400 kilometers! In 2001, an Indiana-based radio station started an annual Bubble Wrap Appreciation day, traditionally celebrated on the last Monday in January. As Sealed Air says, “Our secret to a better bubble has always been starting with a full air bubble and keeping a full air bubble.” That’s what makes products like bubble mailers so handy: not only are shipments protected, but they eliminate the need for extra packaging. Bubble wrap rolls are a great way to protect furniture during a move, and encase nearly any object while it’s being stored. The possibilities are endless! For small businesses and consumers who need a solid packaging solution, Bubble Wrap products are convenient and innovative. Even so many years after the original idea came to be, high quality bubble mailers, bubble padded envelopes and Bubble Wrap rolls are constantly improved to meet a variety of needs. Here at The Packaging Company, we’re excited to help you keep your products safe during shipping.